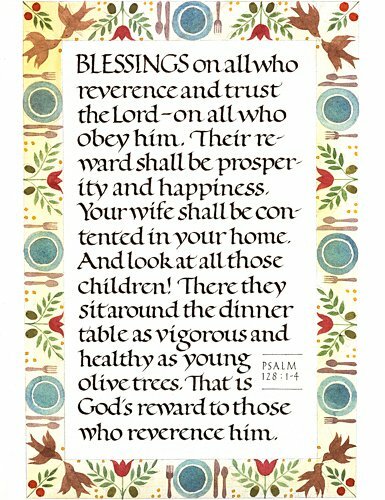 BLESSINGS on all who reverence and trust the Lord - on all who obey him. 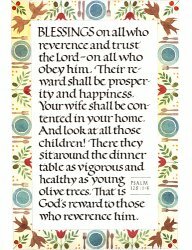 Their reward shall be prosperity and happiness. Your wife shall be contented in your home. as young olive trees. That is God's reward to those who reverence him. - Image Size 8" x 5.5"